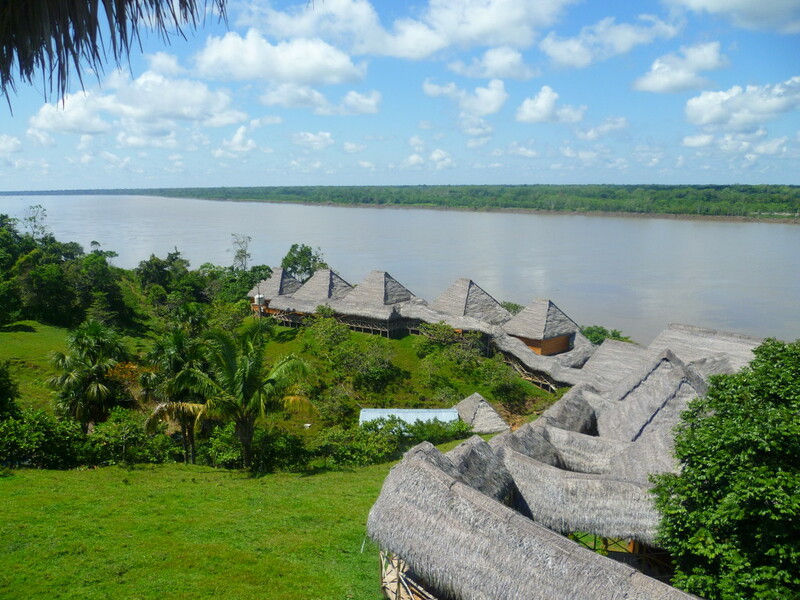 Samiria Eco lodge is a new eco lodge located in the buffer zone of the pacaya samira national reserve, respresenting a perfect combination of rustic and comfort, to spend some relaxing and adventure days in the noth peruvian jungle. 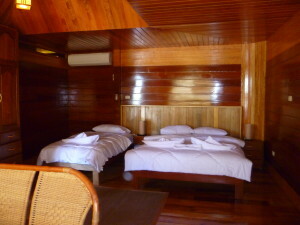 Bungalows The Lodge has ten comfortable and cozy 49m2 bungalows, all with a beautiful view of the Rio Maranon, made with fine wood finishes, and installation with dropped or wood ceiling, as well as a private terrace and railings for better view of the river. We will be waiting for you at the airport to go directly to Nauta city (approximately 1 hour and 30 minutes). During the way down, we will be visiting the Manatee Rescue Center in order to learn more about this specie and other animals rescued by this organization. 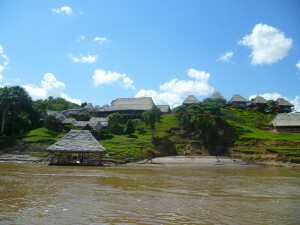 Once we arrived to Nauta city, we will go in our river skiffs to the ecolodge. We will have the opportunity to meet the source of the Amazon River, Ucamara, the union of the Ucayali and Marañon rivers. In the ecolodge, our staff will be ready to make you feel very comfortable and will invite you a delicious regional natural fruit juice while we proceed with check-in and transfer your belongings to your room. In the afternoon, we will have a botanical walk to see and learn about the fruit trees and medicinal plants and know a little more about their health benefits and their adaptation to the environment. We will return to the lodge for dinner. We will begin the day very early in the morning (5:45 a.m.) to have the opportunity to fulfil the activity of birdwatching and enjoy the Kapok sunrise. We will have breakfast in the Amazon jungle so we will be able to connect ourselves with the environment through our senses. After that, we will visit a local community that will teach us more about their culture, customs and their art of handicrafts (you can buy some art crafts if you wish). After lunch, we will go fishing (artisan fishing) on board our skiffs in Shiriyacu (fresh water or freezing water). Night activity: Searching of tarantulas and caimans. In the morning, we will take a river journey to see the gray and pink dolphins (if you wish, you can swim with them on the river). 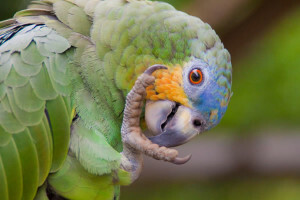 After lunch we will visit the Pacaya Samiria National Reserve, Nauta Caño zone, known for its rich flora, fauna and wildlife. We will hike to learn more about trees, plants, flowers and insects and will finish with the activity of artisanal fishing (mainly piranhas) and other species. We will learn from our naturalist guides about their experiences, magical stories, myths and legends of the Peruvian jungle. * Optional and subject to additional cost. During the Shamanism ceremony a soft food diet is recommended to all participants. During your last day in Samiria Ecolodge, you will enjoy a delicious breakfast and after that we will be ready to sail on one of the Marañon river tributaries. 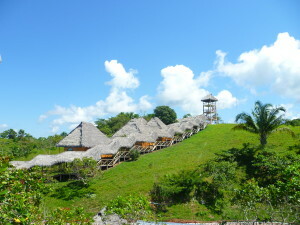 We will return to the ecolodge for a farewell lunch. Our staff will let you know how happy they are to have shared some unforgettable moments with you during your time with us on your first Amazon experience. We will take you back to the airport at Iquitos city. 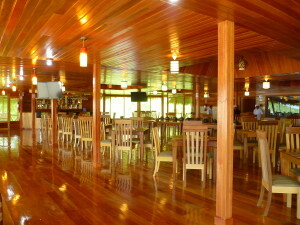 * Carry your ID (DNI) or passport on arriving to Samiria Ecolodge. * Wearing light clothing due to the hot weather. Wear long pants and long sleeves to prevent insect bites. * Wearing sneakers or boots for better performance and security while on walking. Bring ponchos to protect yourself from the rain. * The program may be vary due to external factors, specifically by weather conditions. * It is suggested to all passengers to take your flight early in the morning from Lima to Iquitos. To return from Iquitos to Lima, we recommend you to take your flight in the afternoon or at least at night. * Wear caps or hats and sunglasses. If you wish to swim in the pool or in the river, bring your swimsuit and towels. * Be sure to use insect repellent and sunscreen. * Do not forget your photo or video camera. * Bring binoculars and flashlight for night walk. 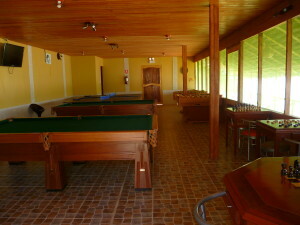 * Playroom for children and adults facing the Maranon River, where you can find pool tables, table soccer, toad game, table tennis and other games. 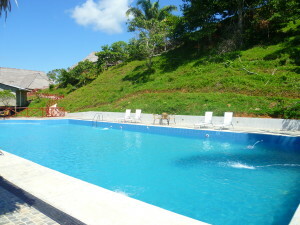 * A pool of200 m2where you can relax after a hard hike. Some have showers and bathrooms, sun terrace, massage room and gym both air conditioning and exhaust fan, and a full bar and a lounge with hammocks. * Three (03) Generators, which satisfy the energy demand for the attention of the various services, which will be put into operation up to a reasonable hour at night, in order not to disturb the natural habitat of wildlife. * The electrical generator turn off at 23:00 hours and turn on at 07:00. * We suggest passengers to voluntarily donate clothes, shoes, books, notebooks, pencils, toys, canned food, treats, etc. Children from native communities will receive these gifts with enthusiasm and happiness.